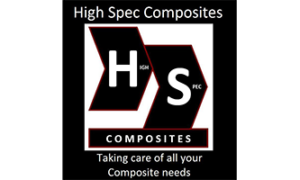 High Spec is a leading composites company supplying high-specification carbon fibre components to a range of industries worldwide, specialising in components for Formula One. With a prime location in Oxfordshire, a newly-equipped facility and over twenty years of experience High Spec are able to offer high quality components, using the newest of technologies and materials in excellent lead time. Currently working with six of the leading F1 teams, we understand the importance of communicating efficiently with our clients, understanding their needs, meeting deadlines and ensuring all components are completed with strict confidentiality and professionalism. High Spec aims to continuously develop both skills and technologies and apply innovative methods of practice to all projects and sectors with confidence. High Spec is a new sponsor for 2019 but is a long term supporter of the Cherwell Business Awards, as well as being a previous winner, with successes in 2016 and 2018.